This new airbag tech reduces occupant injury by up to 40 percent | Car News, Reviews, & Pricing for New & Used Cars. We’ve heard about manufacturers developing external airbags in the past, but ZF just presented some testing data and its strategy for the safety tech going forward. Through testing, ZF found that its external airbag could reduce the injury severity of an occupant by up to 40 percent. This statistic could serve as a tangible reason to implement external airbag technology on production cars once everybody gets it totally sorted. ZF’s external airbags are designed to deploy from the side of the vehicle and act as an additional crumple zone during an impact. The airbag ends up looking and functioning like a massive pillow, absorbing some of the blow of a side impact crash. Making the airbag deploy as intended will be the biggest challenge for external airbags like this one making it to the market. A vehicle must be able to detect when a crash is about to happen, then fire a split second beforehand. Some vehicles already offer predictive systems that prepare for an imminent impact, but an airbag going off is a lot more drastic than seatbelt tightening or suspension adjustments happening in real time. 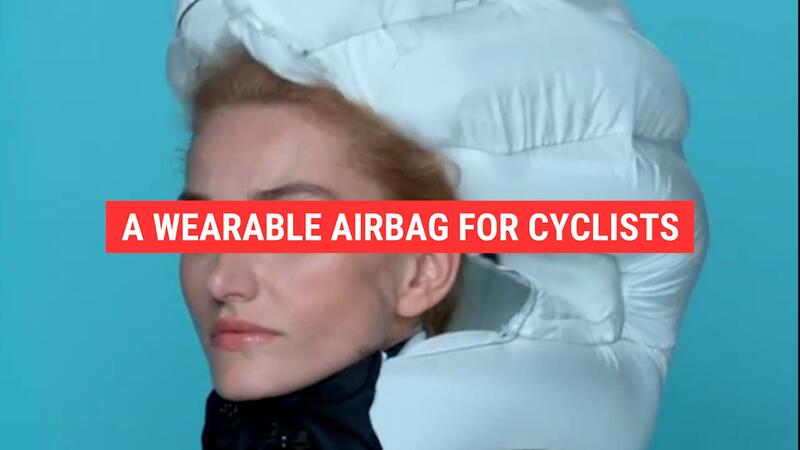 Nobody wants an airbag to go off when it isn’t needed — there are many examples of this occurring in the past. ZF thinks it can make this work due to the rapid advances in lidar, radar, ultrasonics and camera technology. All of these sensors are able to recognize the vital details of what’s coming at them, then react accordingly. Just like autonomous cars for the driving public, it’s a safe bet to say we won’t see it for a little while yet. The ZF external airbag shown here comes in at just under 80 inches long, 21 inches high and 15 inches wide approximately. Those figures will change depending on the size of the vehicle it’s mounted on, but for reference, this sized contraption weighs 13 pounds. Inflation time is 15 milliseconds, similar to your traditional steering wheel airbag reaction time — impressive, given how much bigger it is. We’re always in favor of safer cars, and this tech appears to be getting closer to reality. It’ll probably still be a little while before manufacturers begin to implement it on new cars, as everybody perfects the technology.